1. First trace outline using the shape stencil on foam sheet and scrap card paper. Convert circle to oval as I did below or just keep it same. Completely your choice! 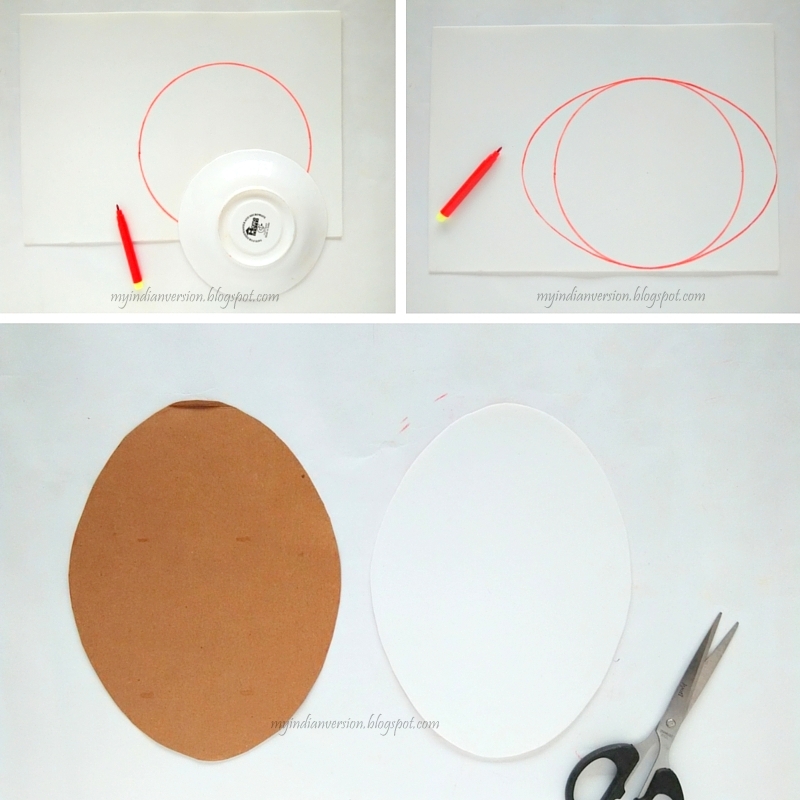 I want to make an oval shape and since I did not find any stencil for it I decided to do it like this. It was quite easy to draw a oval using circle as base! Cut the foam sheet and the scrap card paper. Glue the scrap card sheet on the back of foam sheet. 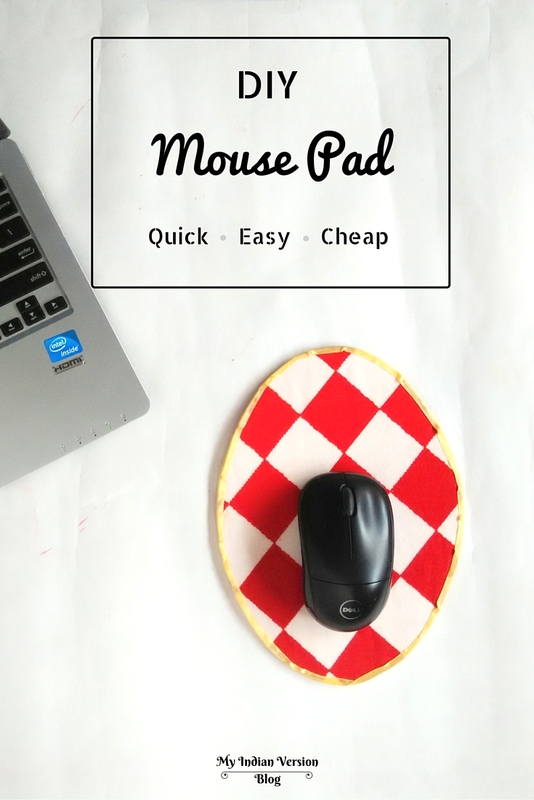 This creates a strong base for the mouse pad. If you are using a crock board instead of foam sheet scrap paper is optional. 2. Now take your favorite fabric and glue it on the foam sheet. Apply glue only on the rims of foam sheet to avoid any bumps in the middle of the mouse pad. Stretch the fabric for smooth surface. Glue the extra fabric on back side. The mouse pad it almost ready! 3. 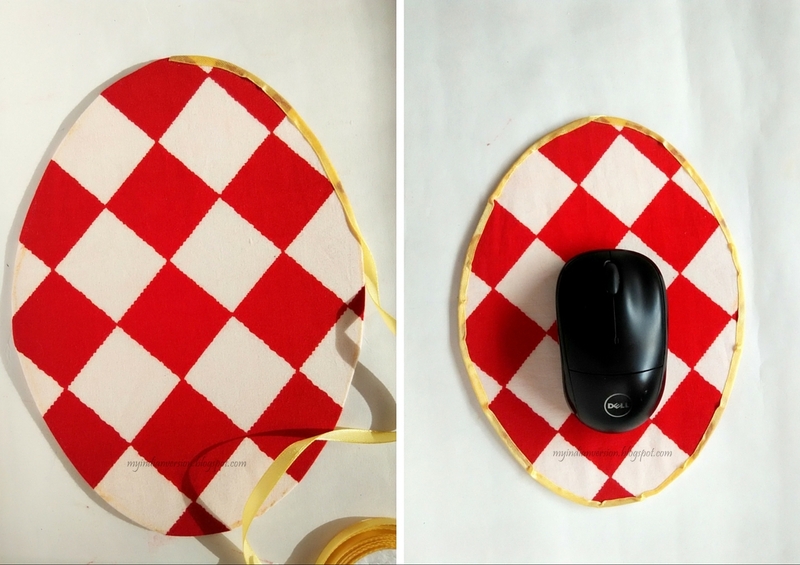 For finishing touch glue a satin ribbon on the edges of mouse pad. Done! Quite quick isn't it? 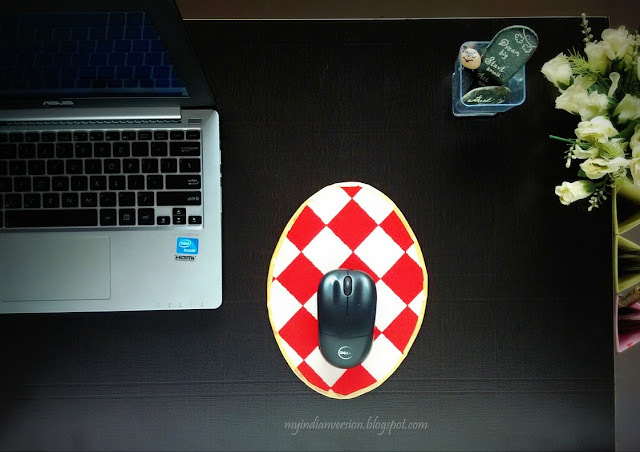 My work table got a quick color pop up with this easy DIY mouse pad. I just loved the checks pattern on the fabric. 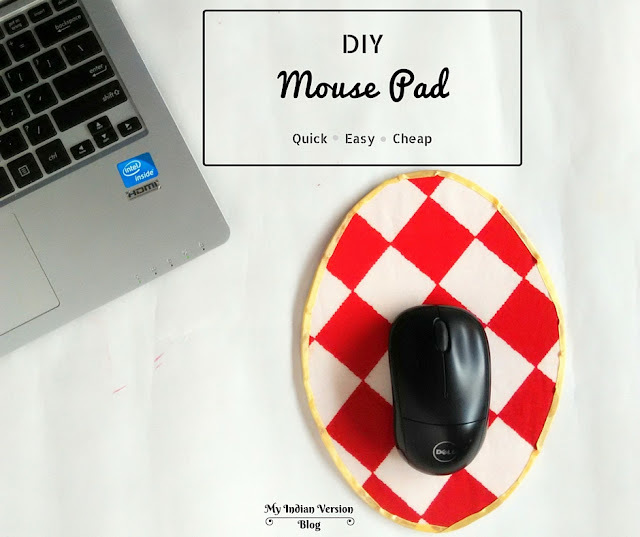 Why don't you try the Mickey Mouse shape for your mouse pad! Or may be an owl shape! Choose whatever you like. 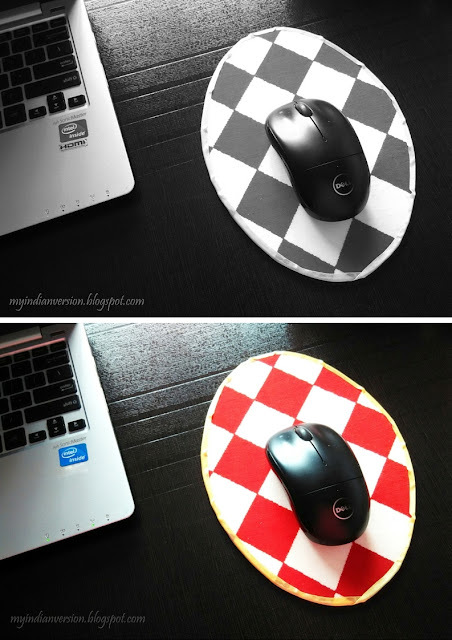 Go creative with shapes of your mouse pad and add some fun to your desk. What will be your mouse pad shape? Tell me in comments below. 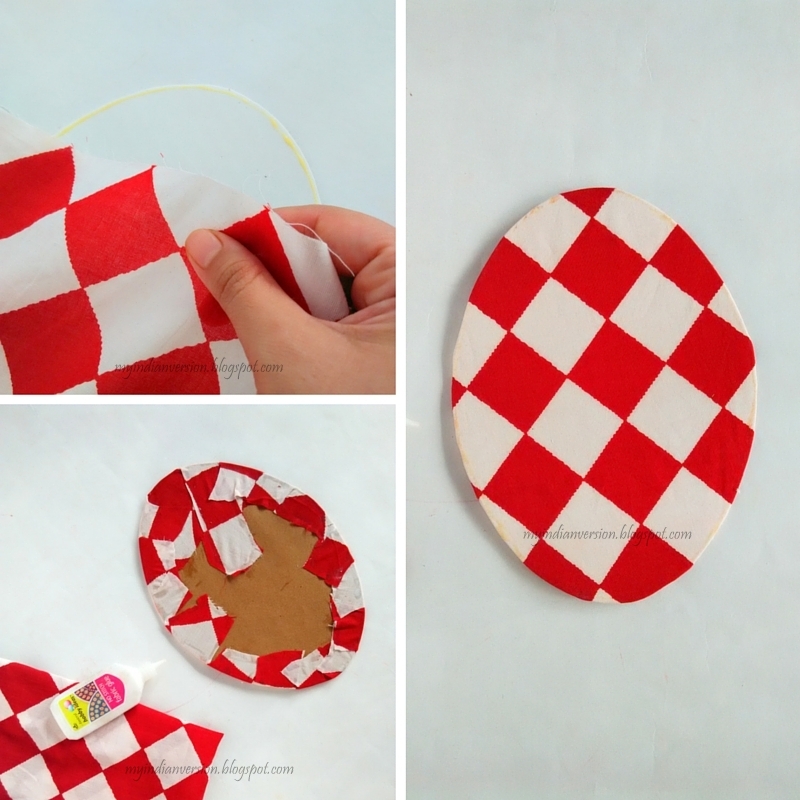 Looks cute and easy to make also. Thanks for sharing. 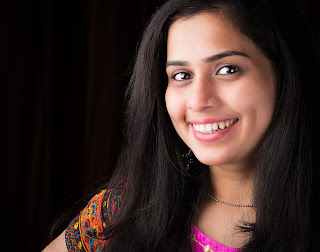 I am glad you like it, Ranjana. Have a great day ahead!! It's a wonderful idea, now you can customize your mouse pad to match your decor! 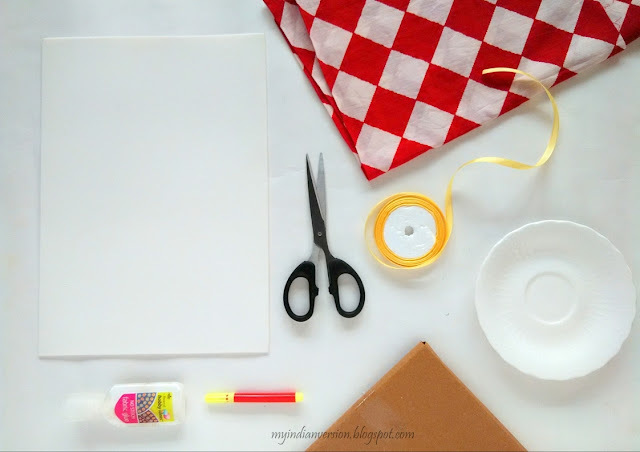 Thank you for sharing this tutorial at The Really Crafty Link Party this week. Pinned! Thanks Teresa!! 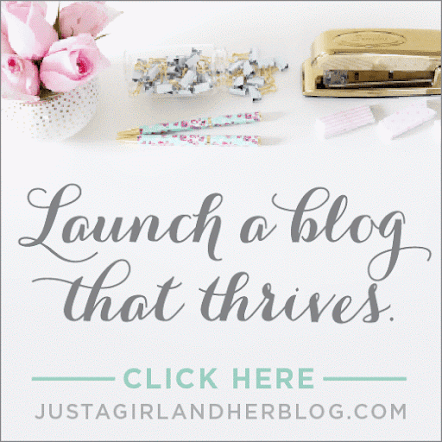 It's fun to be a part of your linky party. 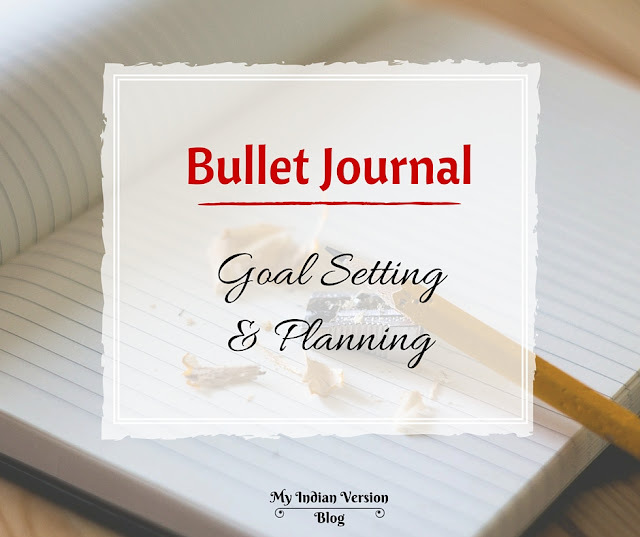 Lot of creative content come in the party and I love to read each one of it!